Why wait until Black Friday for a great deal? 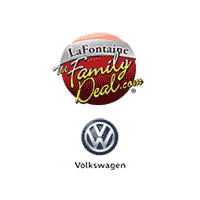 This month at LaFontaine Volkswagen of Dearborn, we’re pulling out all the stops to give you the best deal around all month long! We appreciate your interest in our inventory, and apologize we do not have model details displaying on the website at this time. Please fill the form out below and our team will quickly respond, or, please call us at (866) 691-9603 for more information.